VOX editor Ruth Garvey-Williams and her husband Andrew are travelling around Ireland asking, "What is God doing in Ireland today?" Along the way, they meet inspirational people who are living out their faith in real life. This blog brings a round up of each day's journey! There will be much more in the summer edition of the magazine. After an early start, we enjoyed the straight-forward drive into Cork city, with remarkably little traffic. First stop in the new premises of Grace Church and a chance to catch up with Pastor Tom Burke. Two hours fly by as we tour the wonderful premises, which has been beautifully refitted with great attention to detail and then sit and share our hearts over a cup of coffee. On Easter Sunday, the church celebrated its first service in the new building with over 1,000 people in attendance. The building has been leased from another church and with 20 years worth of savings, the church was able to complete the refurbishment and move in debt free. "This is only a means to an end." Tom shares. "We've never been about buildings. We're about people! But this space will allow us to do things we could not do before and we've got loads of plans!" Talking about his own relationship with Jesus, Tom shares, "He calms me down and He inspires me. He gives me a richeness and a depth to everyday life. Even here now, it’s like he’s sitting right here with us. Who wouldn’t want that sense of His presence?" Watch out for the next issue of VOX for more from our conversation with Tom! From Cork city, an hour's drive brings us to an entirely different world. The kettle is on in the small bookshop-come-church in the rural town of Millstreet! We enjoy a much-needed cuppa and a slice of wheaten enjoying the lively banter around the table. Laurence Graham, the Methodist minister who has been working in a large stretch of north Cork and Kerry describes how several small new groups of believers have sprung up in different places. "The Lighthouse" opens up every Thursday morning offering cups of tea and the chance to browse Christian books and a selection of cards and gifts. This morning, Eileen, Mags, Clare and Jasmine have all been helping out and they are eager to chat about their little church and their love for God! Laurence, Eileen, Mags, Jasmine and Clare from The Lighthouse in Millstreet. Mags tells us, "From the moment I wake in the morning and open my eyes, I just know Jesus is there. It is like breathing!" Clare explains, "I’ve got to know Jesus as my best buddy. I cannot be pessimistic because I have Him there to lead me and comfort me. I just know my life is better and I think other people see a change in me, too." Another half an hour and we arrive in Killarney, Co Kerry to enjoy a late lunch with Ed and Jean Ritchie. Ed, a retired hospital consultant, is 83 years old and Jean is 78. We are treated to an amazing feast starting off with a wonderful new taste - homemade lovage soup! But the feast is not just the food... it is the breath-taking privilege of listening to two people who have spent a lifetime quietly living what they believe! "In 2001, we did not know whether I was going to survive," Jean shared. "I remember lying in bed critically ill. I think it makes me appreciate that I’m on extended time - God was so gracious. He must have had some purpose." For Ed and Jean, that new purpose was to move to Killarney to bring new life to a Methodist church in the centre of town. Working together, with a shared passion and vision, has been one of the great joys of the last years. 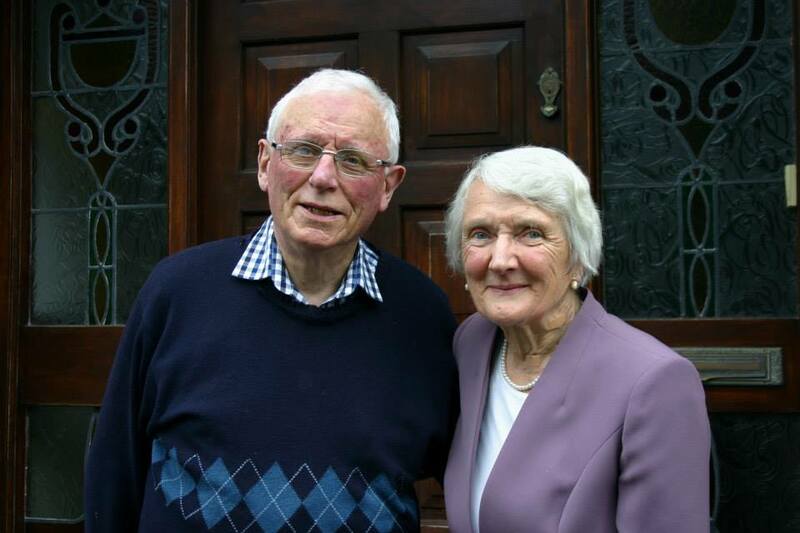 After seeing Killarney grow to be a thriving congregation, Ed and Jean "retired" again - this time to see another church established in Kenmare. "These years have been very precious," Jean added. After the final one-and-a-half hour drive of the day, we arrive in Fermoy back in Co Cork where we are to stay at the home of William and Sharon Montgomery from the local Presbyterian church. We are once again welcomed with generous hospitality and after a meal we are joined by others from the small church that has become like a 'family'. "We average around 22 to 25 on a Sunday morning. There is a mini revival if we hit the 30 mark (we call it a blue chair day because we have to put out the blue plastic chairs! )," they explain. One of the joys of recent years has been running an annual children's summer camp and youth programme. The camp has proved so popular that they had to 'cap' it at 120 children! Another joy has been the good relationship between different churches in the town - a sense of love and respect that has overflowed into joint projects such as the Alpha course. As many share what God means in their lives, Sue sums it up with a reminder, "It's not about us - all the glory goes to God!"